London is the type of city that can be charming and attractive no matter the season. You can visit it in the summer and enjoy the numerous gorgeous parks and city fountains or you can go there in the winter and experience the Christmas joy and a city covered in white and sparkling lights. No matter what you choose, you can be sure that you will make the most out of your British journey. You will definitely find a wide array of things to see and do in London, as it is literally filled with tourist attractions. So, you don’t have to worry about this aspect. However, there is one issue you might encounter and that is the transport. What about the world-renowned red buses or the symbolic Tube? you will say. Well, I am not actually referring to the transfer inside the city, but to the transport to and from the airport. This is an important piece of information that will definitely ease your journey and that not many of the tourists are aware of. So, let’s imagine the following scenario. You are a tourist coming from let’s say Frankfurt to London. You arrange all the necessary for the trip, book the flight and on the due date you arrive at Stansted Airport, for example. You are in the airport, at the Arrivals, sitting with your luggage in the middle of the hall and thinking of a better way to get to the Capital. You see the signs indicating to the trains and coaches and you say “yes, that’s a great way to travel to London”. You get to the station and now you have to wait for the train or the bus. You can wait up to 30 minutes and when the means of transportation is in the station, you will have to deal alone with the luggage, not to mention that you will basically be in a middle of a crowd of people. At this point, you will already be thinking “I should’ve ordered a Stansted Transfer”. The journey will take up to 50 minutes by train and almost 90 minutes by bus. 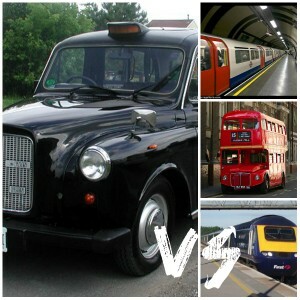 The fares start from £6 and can get to £23.40 per person. In the Capital, you will be dropped off in Central London. Therefore, if your hotel is placed in any other postcode area, you will have to deal again with the hassle of carrying the luggage to the Tube or of hailing a blackcabs, which can be quite painful for your wallet. When you will get to your final destination you will most probably be tired, stressed and with quite a few pounds lacking from your pocket. This is definitely not what you’re expecting from your trip in the British Capital. Let’s see another scenario. You arrange your journey, book the flight, but this time, you also take the time to book a Stansted Transfer as your means of transportation to and from the airport. You get to Stansted Airport, in the Arrivals hall and there you see a smiling and smartly dressed driver with your name on the board. You meet him and he offers to help you with the luggage. This sounds good already. He will take you to the cab, put your bags in the trunk, open the door for you to get into the car and off he goes to the marvellous London city. No extra waiting time in the station for the train to come and no hassle with the luggage! You will be travelling in a comfortable London Stansted Transfer, with a courteous and skilled driver and you will get to the metropolis in about 1 hour and a half. The price will depend on the type of car you choose, but it will usually start from almost £50 for a saloon car, no matter if there are 4 passengers in the car or only one. In London, the driver will take you to the drop-off point that you have chosen during your booking, so he can leave you right in front of the hotel and even help you again with the luggage to the hotel door. After such a journey, you will most certainly feel relaxed, joyful and already in love with London. This kind of experience will make you always choose a Stansted Transfer over a train or a coach service..